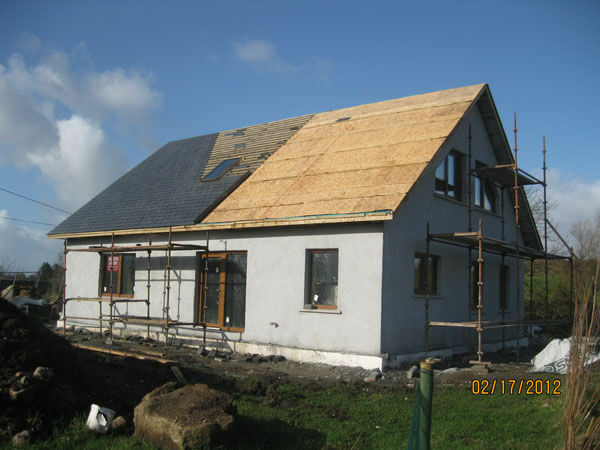 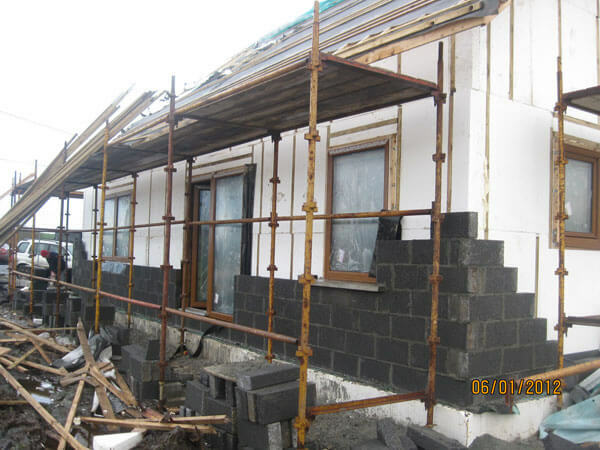 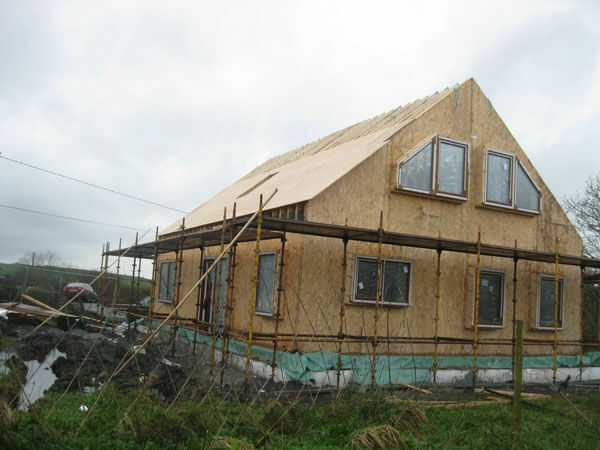 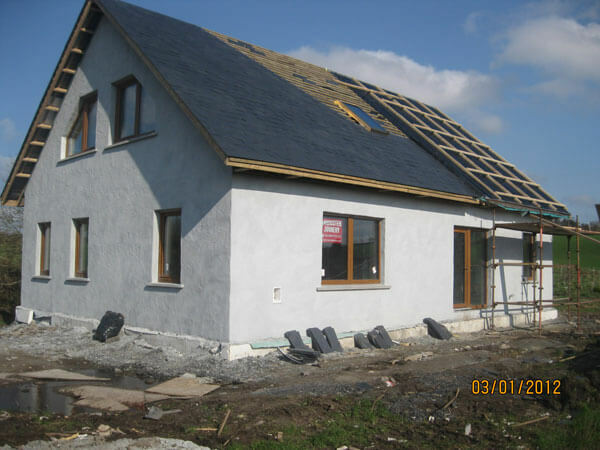 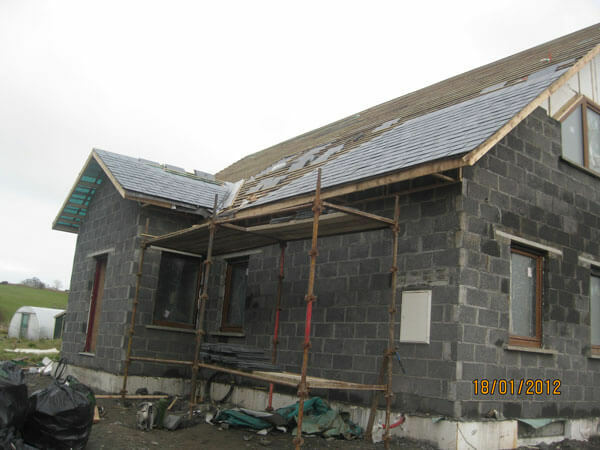 We built this 160m2 Solar Enhanced Passive House for Julia McMasters in Mayo in 2010/2011. 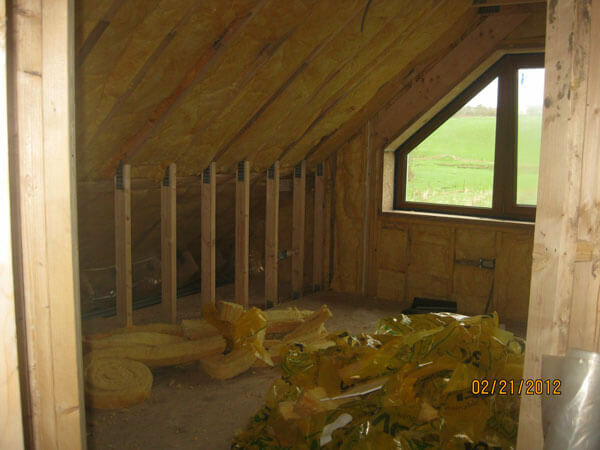 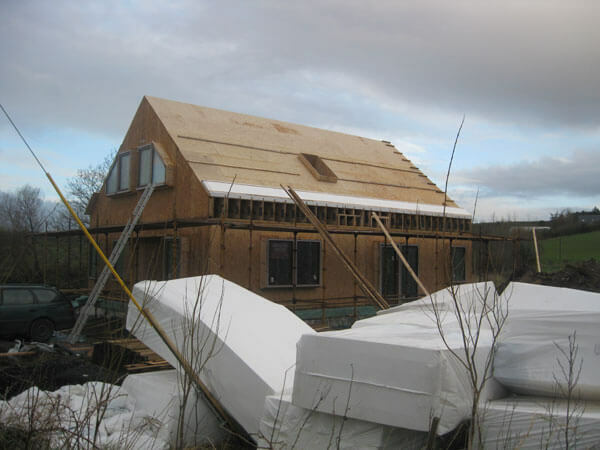 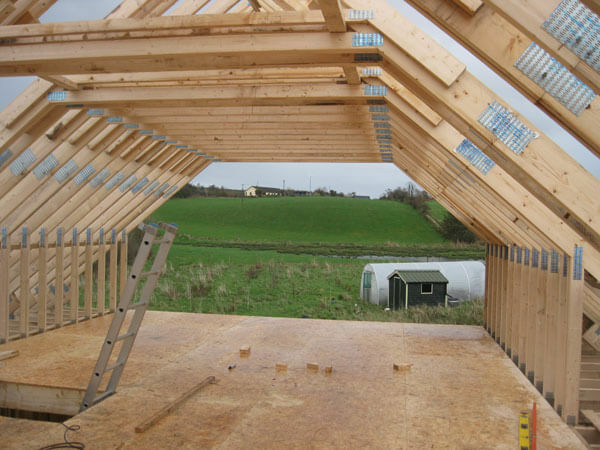 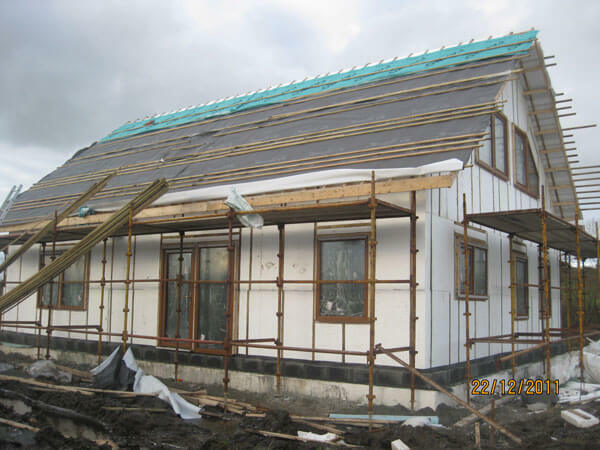 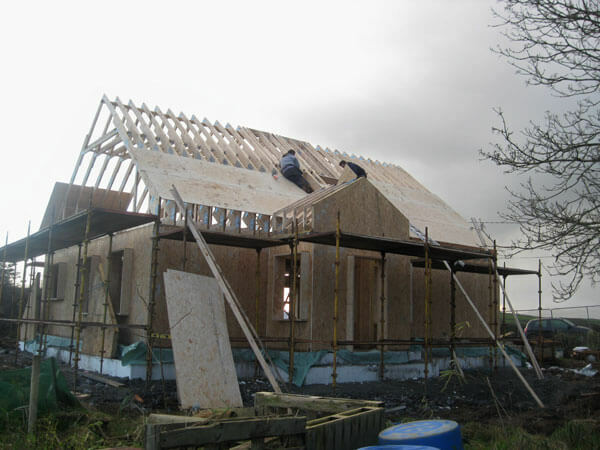 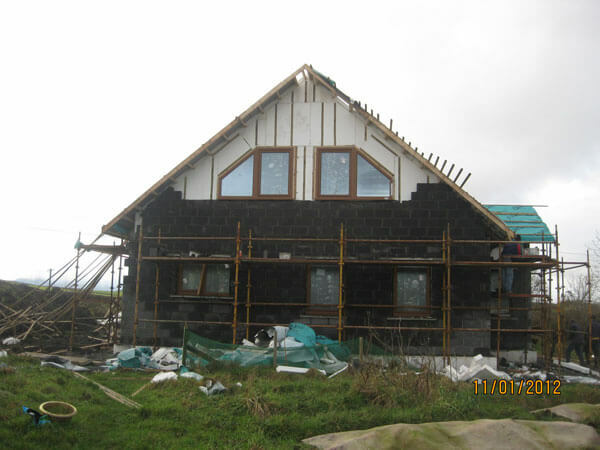 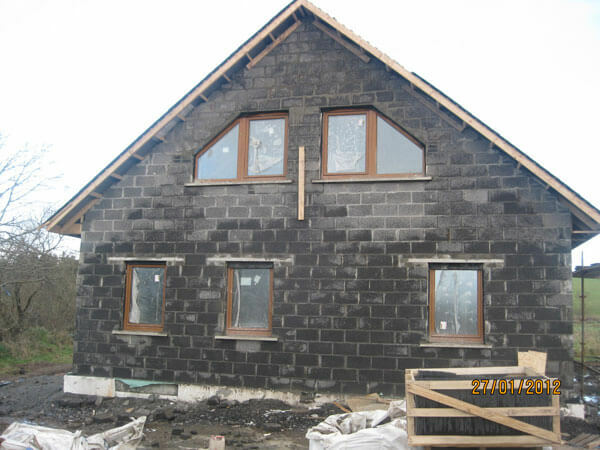 Its built using our warm stud timber frame method with wall, floor and roof U-values of between 0.10W/(m2.K) and 0.12W/(m.K), the airtightness test was 0.58ACH@50Pa. 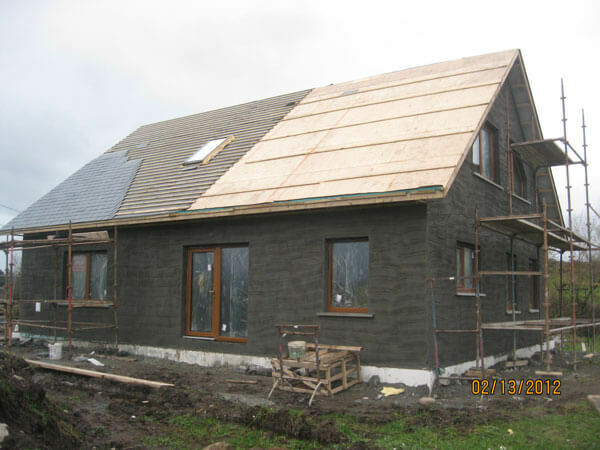 The PHPP shows a heating demand of 10kWh/m2.annum. 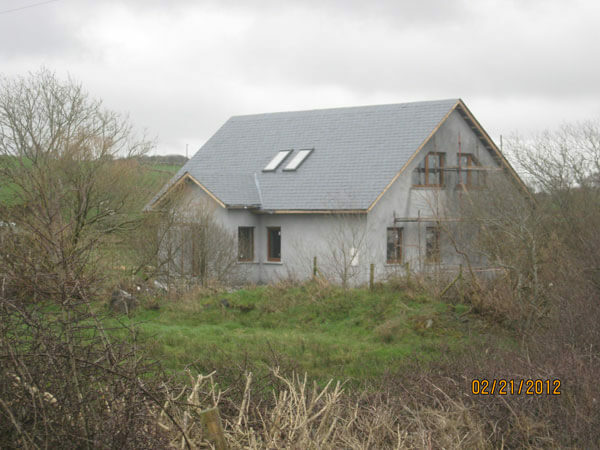 It came in within the clients €145k budget, this includes the kitchen and solar heating system. 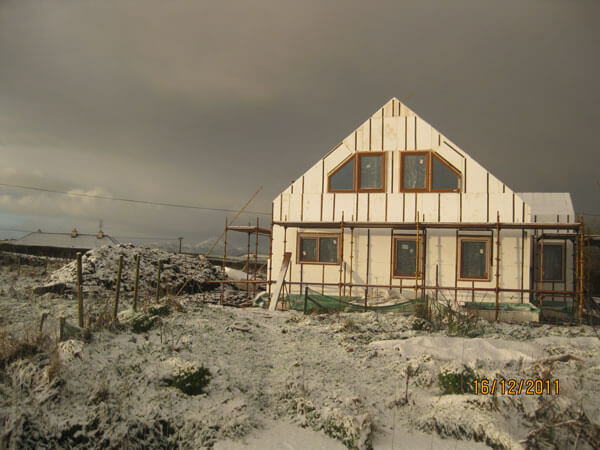 The house has no back up heating system as excess solar heat is stored inter-seasonally in the sand/gravel insulated Solar Slab beneath the house. 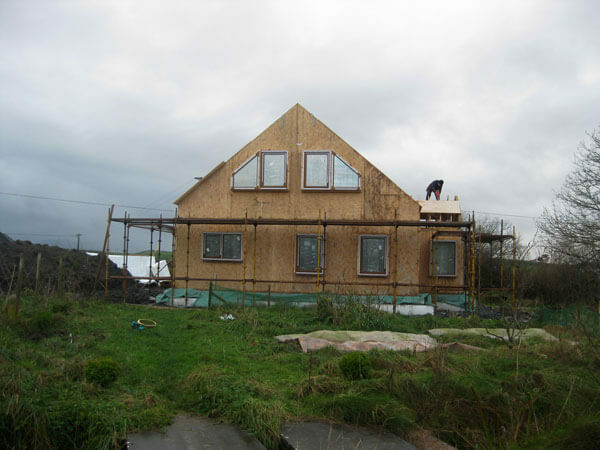 Due to the low heat demand of this super-insulated Passive House the 40m2 Solar Array is sufficient to provide hot water and heating even in December. 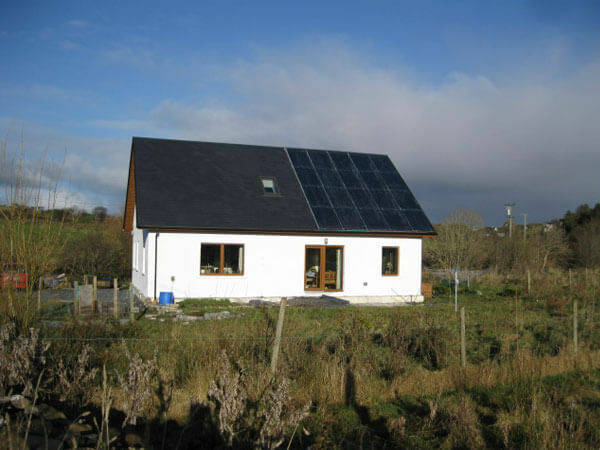 The only bills are for lighting and running the A rated washing machine which takes hot water from the cylinder heated by the 40m2 Solar Array. 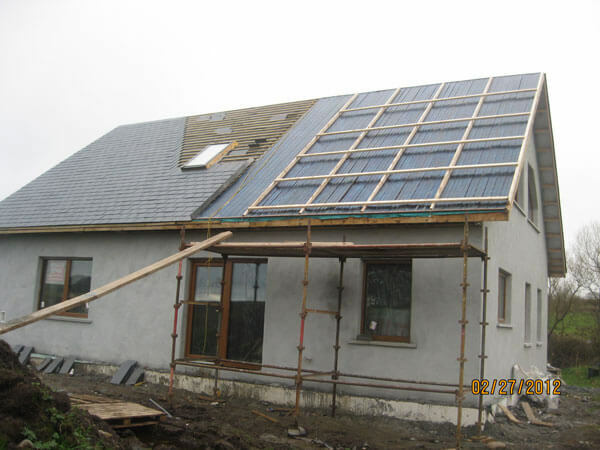 There is no glycol or heat exchangers in our solar heating system so hot water from the roof is pumped directly into the floor slab, when the solar array gets too cold or too hot it empties automatically back to the drain-back tank. 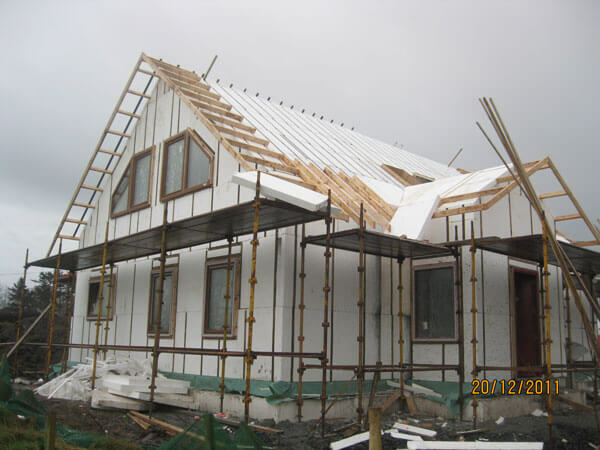 Each heat exchanger looses 5 degrees and there are 3 heat exchangers in glycol tube systems, we have no heat exchangers. 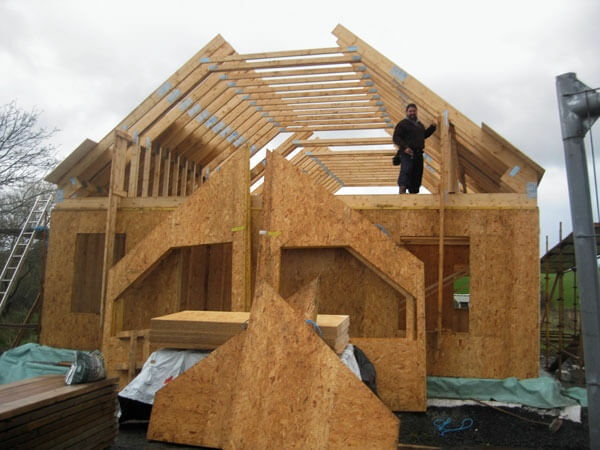 Our system harvests heat at 25 degrees, so we harvest 35% more heat/m2 in December than a system harvesting at 50 degrees. 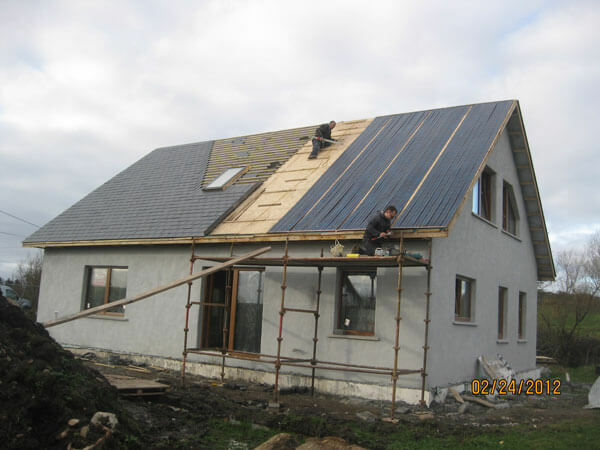 The best angle for winter heating is the latitude plus 15 degrees so the optimal pitch is 67 degrees for solar heating in Ireland.